Sustainia published an in depth look at how the health care and energy sector worked together to support progress on climate action and energy efficiency. 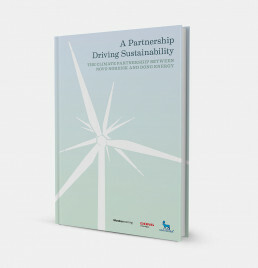 The report serves as inspiration for other companies looking to implement cross-industry partnerships for climate action. Sustainability solutions are inherently interdisciplinary, and true progress will require collaboration across many sectors. Often it can be difficult to imagine how to begin a partnership with an organisation outside of your industry, and without knowledge of past success stories it can feel like a business risk. The publication highlighted a successful partnership model between the healthcare and energy sector to take on climate change, by taking an in depth look collaboration between Novo Nordisk and Ørsted (then called Dong Energy). It includes the business case, results, challenges, solutions and further opportunities for scaling the approach. The report highlighted the effectiveness of cross-industry collaboration for climate action. The climate partnership has been an effective lever to Novo Nordisk’s Triple Bottom Line by implementing energy-saving projects that are turned into renewable energy investments. The results created by the partnership model are unique but the model in itself can easily be replicated to other businesses and industries. 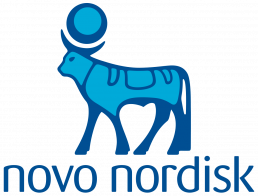 Novo Nordisk is a global healthcare company specialised in diabetes and haemophilia care, growth hormone therapy and hormone replacement therapy. Ørsted is the largest energy company in Denmark, and the owner of the largest off-shore wind energy farm in the world.